10 Best Canadian Kids Friendly Winter Vacation Destinations in 2017. High altitude, humongous mountains, close proximity to Arctic ensure Canada remains snow clad for the better part of the season. However the hostile weather with extreme cold does call for mystic appearance and an unprecedented winter experience. The wealthy country has few of the finest resorts of the world providing for uninterrupted service during winters and provides the warmth of home away from original home.The East as well as the West coast are dotted with multiple places of tourist interest that will enthrall your child and the kid in you equally. Your kids are surely going to have a great time at Granville Island and Stanley Park in Vancouver. The park is humongous, nearly 1,000-acre in size. Take your time to explore the fun aquarium, outdoor water park, joyride on the miniature train, sprawling play grounds and much more. You may be interested to take the challenge of a walk across the 450-foot-long Capilano Suspension Bridge. Treat your taste buds to the delectable sea food the eateries at city's market area prepare. Blue Water Cafe and Raw Bar and Rodney's Oyster House are some of my recommendation to explore food scene of Vancouver. It is hard to find the traces of old Calgary, the a Rocky Mountain outpost for the mounted police, the Canadian cow town it used to be until early 1900's, before discovering oil under the land. The skyline changed fast. Now the city of Calgary is shimmering with office buildings. The city these days hosts the Winter Olympics. The ideal location near snowy Rocky peaks also ensures steady tourist footfall. Do shop the the quintessential Calgary emblem, leather boots and wide-brimmed hats. Banff will transport you to a Swiss village with Skiing and other enchants of the snow capped mountain at ease. Your kids would love to take the skiing lesson particularly designed for beginners, at the start of the winter season. The Canadian Rockies near the southeastern border of Banff National Park, Canada's first of its kind is home to few of the spectacular lakes and scenery. You can also watch astounding wildlife from the area. In Banff, as an explorer with family you will find it relatively easier to end the day in the comfort of a luxury hotel. The freestanding limestone pillars are known as the Hoodoos and make for excellent hiking choices. You may also want to try skiing down Mount Norquay or "scramble" up the face of the Stoney Squaw Mountain, even bike along the scenic Healy Creek. When in Banff, do try the bison meat platter at your heart's content. The snow clad landmass is famous for families traveling from across the globe with a never dying attraction of winter activities. 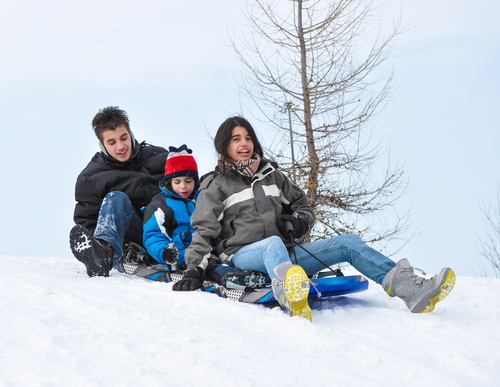 Do book you day for the Fat Cat Children's Festival, Maple Fest and more kid-friendly events that frequent kid friendly activities and arrange for cross-country ski at various resort trails for the families. There are amazing natural scenery around the corner. The winter may not let you paddle board and kayak at Okanagan Lake however a gondola ride through the mountain slopes will stun you. Winters get excruciating cold in this mountain hill area however a stay in one of the resorts of the mountain slope shall ensure you get all the amenities of safety and enjoy frolic with children. There are powdered steep and snow clad mountains all around, allowing you to take a skiing lesson with family. the Whistler Blackcomb Mountains is well known for the acres of land it comprises along with other facilities. Gondola, skiing, golf course; you name it, you get it. Winter experiences a lot of snowboard competitions as well. Explore wildlife and resources with the local whose outdoorsy spirit doesn't die down even in the cold! Niagara Falls is a wonder to watch for travelers transcending age barriers. You as well as your kid with be in the grip of equal awe while gaping at the marvel of the nature. The river falls a deep 170 Feet waterfall with a mammoth speed of 20 to 30 (and up to 68) miles an hour. Soak in the mist around the fall created by the steep descend. The roar of the falls can be heard from miles away. Do not forget to wrap your child in the colorful poncho before nearing the massive water-force. Click multiple time as you follow the water's path downward, boats, platforms and observation decks stand on the way. Most international major food chains are dotted on the main street of the small town, catering to innumerable tourists coming every year. Head straight to the famous Toronto Zoo with your kid for some unprecedented amusement. The Zoo houses few of the rare wildlife of the world in compatible temperature. The Ontario place too is gonna be a hit with your family. The Hockey Hall of Fame and Museum is the place to head for if your kid is a budding athlete. The big city is cosmopolitan in nature and skyscrapers dot the downtown with streets ever buzzing. The culture is diverse in the city. Appreciate the same while experiencing a gourmet dining affair in one of the many foodie enclaves (China town, Korea town, Indian Bazaar etc). Québec City is the capital of Québec province, Canada. It is immersed in the old school charm of French legacy. The city is quintessentially known for its cultural riches along with cobblestone streets, soaring cathedrals, French pleasantries, fresh oven baked bread, pungent cheese, creamy cafe lattes and buttery croissants.The 400 year old city is a UNESCO world heritage sight with magnitude of offerings that includes house bakers, bistros and boutiques, European painting and much more. To your entertainment, there are plethora of activities awaiting like festivals, walk-able streets, museums, cafes and restaurants. Also secure a few of the most prized dining experience with your family from the French era with generous helping of hearty stews, meat pies, specialty chocolate etc. The multifaceted city of Montreal churns out the real essence of diversity. A winter vacation here with family ensures happy memories of lifetime. The 18th-century structures seamlessly merges with the 21st-century skyline i this juncture of old and new world. Shop for exotic clothing for India, France or Portugal and head to gorge on exquisite French pastries. Do try the Montreal-style bagel, sweet Sesame seed roll. Few of the day's itinerary would be to take you through world-class museums and bustling shopping malls. The boulevard Saint-Laurent is the perfect place to hang out with a cup of cappuccino. Montreal's downtown St-Denis is known for a bustling nightlife extending till the wee hours of the morning. You may secure your kids at the resort while heading out to explore the pubs in the area. Canada's capital, Ottawa is located in southeast Ontario near the Québec border. The city offers an wide array of choices for a traveler from exotic nightlife to the tranquil calm of a family. coolness is the way of life in here. Indeed a political and cultural hub, Ottawa marvels the out-of-towners. The downtown has plenty of jaw-dropping architecture, state-of-the-art museums, funky boutiques and fantastic snack joints, can be explored at ease while wayfaring. Indulge in ice skating along the Rideau Canal and we guarantee you will come back to the city multiple times as your favorite winter spot! With the list above we have tried to capture the best of Canadian kids friendly vacation destinations during winter, More of importance has been assigned to ensure there is no dearth of service standard and amenities provided to the guest. If you were thinking only summer is the time to book one holiday, think again and pay a visit during the cold. Canada is breathtaking in winter for all the good reasons.